6 YRS Taizhou Demler Trading Co., Ltd.
Having accumulated precious experience in cooperating with foreign customers, our products are selling well in the American, European, South American and Asian markets. Meanwhile, our products are manufactured according to high quality standards, and complying with the international advanced standard criteria. We also can design and make non-standard products to meet customers' special requirements. 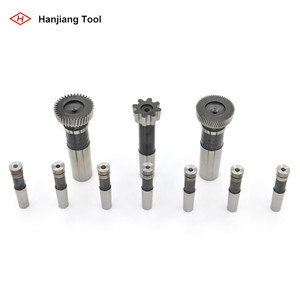 we are major in Hobbing cutter,taps ,drill ,end mill ,and related products. keeping the quality is the most important concept . we won ISO cerficate ,I believe that we will give u the best quality tools and best servies &hearts; Gear cutting is the process of creating a gear . of teeth Outside dia. Hole dia. :125mm ClassAA, ClassA, ClassB Module No. of teeth Outside dia. Hole dia. 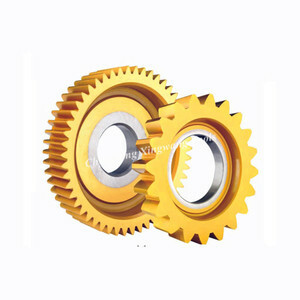 Alibaba.com offers 234 hss shaper cutter products. About 35% of these are hob, 14% are woodworking machinery parts. A wide variety of hss shaper cutter options are available to you, such as free samples. There are 234 hss shaper cutter suppliers, mainly located in Asia. The top supplying country is China (Mainland), which supply 100% of hss shaper cutter respectively. Hss shaper cutter products are most popular in Southeast Asia, Domestic Market, and South America. You can ensure product safety by selecting from certified suppliers, including 156 with ISO9001 certification.